At 7,706 miles, Air India’s flight between Delhi and San Francisco is an ultra longhaul flight, though not quite the world’s longest flight (which is on Emirates between Dubai and Auckland, covering a distance of 8,824 miles). 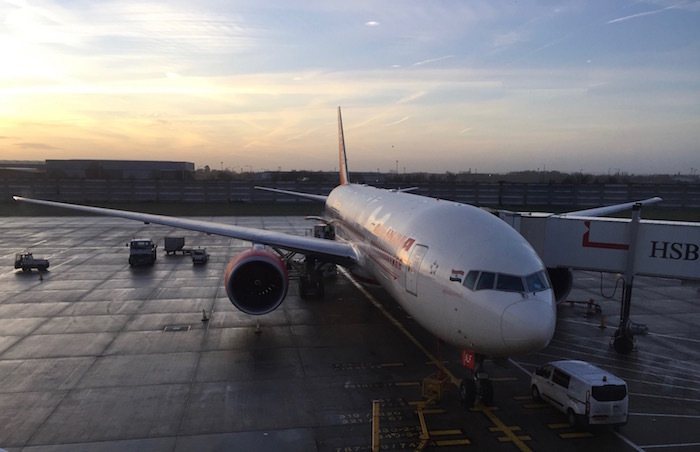 I took Air India’s flight between Delhi and San Francisco earlier this year, and it sure was a longhaul, with a scheduled flight time of 16hr5min. However, Air India is doing something in order to substantially decrease their flight time for the US-bound sector. 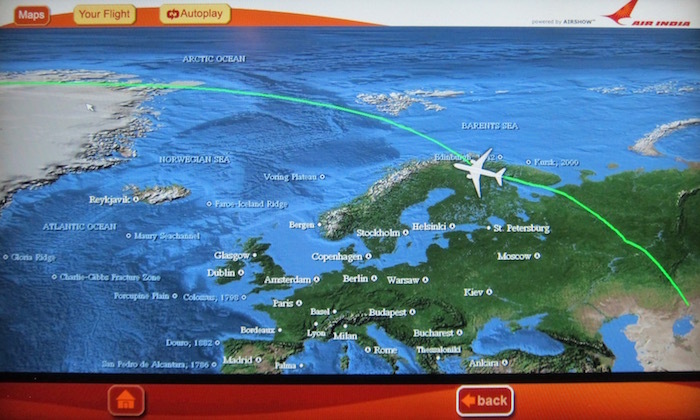 Previously the flight from Delhi to San Francisco operated a polar route, meaning it flew near the North Pole. However, as I mentioned in a post last week, the airline recently got approval to begin operating this flight via the Pacific on the US-bound sector. This represents a significant increase in terms of the distance flown, though a significant decrease in the flight time. That’s because the flight will have a strong tailwind for most of the flight, given that it’s operating east the whole way. Interestingly this means that Air India’s Delhi to San Francisco flight now flies more miles than any other flight in the world. Again, this isn’t the world’s longest flight in terms of direct air distance, but in terms of flown distance it is. As a point of comparison, Emirates’ flight between Dubai and Auckland (the world’s longest) covers a distance of ~8,900 miles with its routing, which is very close to the direct air distance, given that there’s not much reason to make the routing any longer. I realize this is random, but I thought it was interesting nonetheless. While Air India’s new routing is certainly faster, something tells me it’s also significantly bumpier, as an eastbound transpacific flight is typically going to be significantly choppier than a Polar route. Lucky, as you fly a LOT, did you notice, that flights are getting more and more bumpy over the years? Or its just my imagination or bad luck? I was the first person to tell lucky about this (hopefully) by commenting on Air India is going to replace Pan am’s round the world trip, about 6 hours back! Saved 19,200 liters ATF and 2 hrs flying time. Next closest DEL-SFO one stop option (China Southern) takes 19+ hours. In other news Etihad is cutting AUH-SFO frequency. Do you think this will subject this flight to an unusual number of fuel diversions, due to occasions when those tail winds just aren’t showing up, or possibly evening turn into headwinds? I recall that weather patterns in recent winters have forced a significant number of westbound transatlantic 757s to make unscheduled fuel stops…. Here’s a thought possibly for a future column…..thanks to more efficient aircraft making ultra longhaul flights both technologically possible and economically feasible, how far away are we from the point at which there are no two cities that could not at least hypothetically be connected by nonstop service? And, if hypothetically possible, what as a practical matter are some of the most intriguing city pairs on the planet that could be connected by ultra longhauls? Assuming they operate a 77L on the route, they should be fine unless they run into headwinds somehow… It can go 11k miles — which is >1500 more than the TPAC routing listed by Lucky above. There’s some hypothesis as to how global warming increases still air turbulence (the extra bumpy), but not to a point that they can absolutely and incontrovertibly point to a 1:1 relationship between the 2. When can we fly LHR -SYD and JFK-SYD non stop. Not really. AI 77Ls are still equipped/licensed with aux fuel tanks. 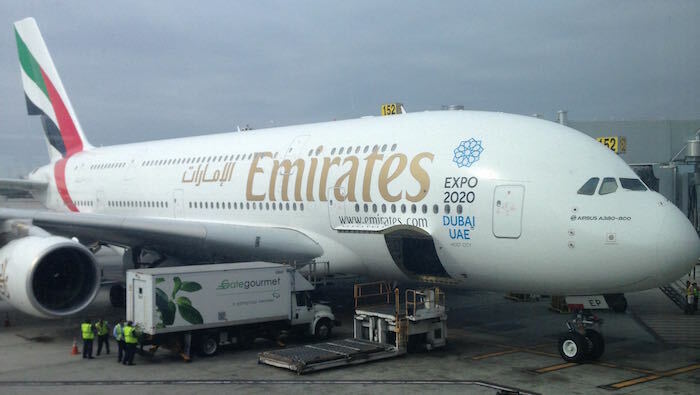 Some smart pants at Emirates removed aux tanks from their B77Ls and stopped paying additional fees to Boeing. One of the many rumored reasons why EK couldn’t to start PTY. I’m curious — and apparently the one one so far who is:-) — about what happens with the flight in the reverse direction. How long does it take and have they been able to optimize it. While it be possible to someday fly LHR-SYD etc.. does anyone really want to(increased speed notwithstanding)? Great post. I find it interesting the routing airlines take. I remember the first long haul flight I took, and was shocked that we flew so close to the north pole on a East-West bound flight. The 777 (especially the new ones which borrow some tech from the 787) is equipped with turbulence dampening systems (not mitigating). Curious to see how well the technology behaves with hydraulic controls. @Desi, where did you read this? – In other news Etihad is cutting AUH-SFO frequency. My bet the next major breakthrough will be a Direct SYD/MEL -Europe flight. Both TK and QF play in that league. What does a IST-SYD do that DXB-SYD doesn’t already do? It’s still 1 stop from Europe. The key would be LHR-SYD non-stop, though CDG/ZRH/etc would be cool too. It’d probably be doable in a very premium heavy configuration on a 77L as it’s roughly 1000 miles longer than SIN-NY which was operated by the less capable A345 (700 miles shorter range per specs). Absolutely fascinating post, Ben. And this is why I read your blog. While this particular post had nothing to do with points, miles, champagne, nor caviar, I am sure that I am not the only one who finds this genuinely interesting. And some great follow-up questions from @John and @Neil as well. Appreciate the answers that were offered as well …. what a great group of readers you have! It’s this type of mix, including Ford , Tiffany, and yes, even Daniel, that keeps me coming back. Excellent variety – please don’t change!!! Most twin aisle aircraft from recent orders by AI are fitted with auxiliary tanks because they may often be used for VIP transport. They were planning on transferring two 777s to the IAF for the PM and the President’s primary and secondary transports. There was an inventory list on Boeing’s site that included this information. Nothing really new. SQ did this occasionally on their direct NY flights as well. Have experienced it several times. On a related note, AI posted a profit recently after losses over many periods. The new CEO (or, in Indian parlance, C-MD) may be turning things around — granted, that would be a long slog, and he has a very long way to go. Also, there appears to be far less political interference and related corruption after the Modi govt came to power. 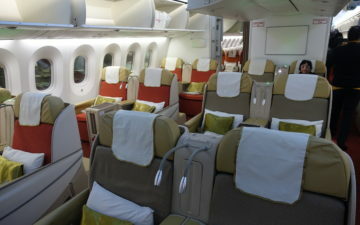 One example: AI was one of the few (or only) airlines which did not have a clause about recouping lost profits from Boeing (arising from Boeing’s defects) when the 787s were purchased; and, there were other rumors of the then Aviation minister (under the previous regime) also taking other actions that deliberately hurt Air India even while promoting the Middle-East airlines (especially Etihad) and also Indian private airlines (e.g., Jet — again, the Etihad connection). On one flight from Tokyo to Seattle the pilot announced that we had a 247 mile an hour tailwind pushing us home . That was my record trip . @Jaiop that’s because it makes a stop at LHR. Its not a non stop flight. It takes a 2 hour stop at LHR.